An oldie but a goodie. 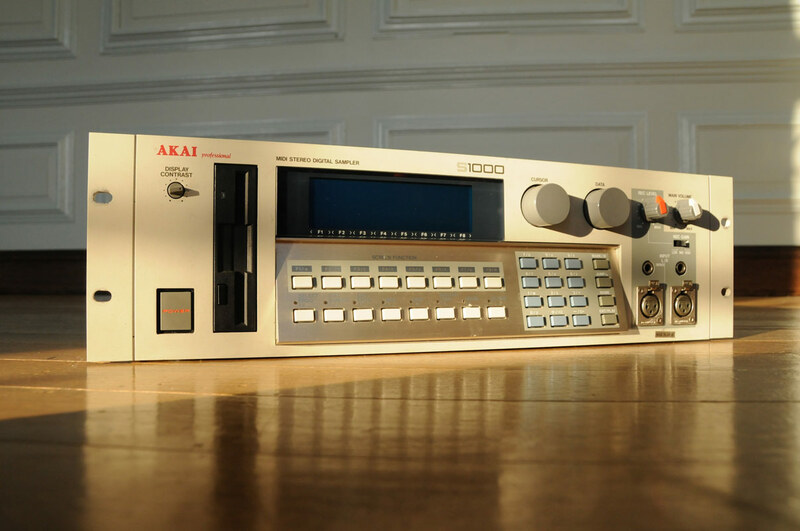 Akai’s great sampler of the late 1980s, It actually still stacks up pretty well today. A 16-bit, 22kHz to 44.1kHz sampler with 16MB of RAM. There are plenty of advanced editing capabilities for looping, truncating, sample merging, time comp/exp, tuning and even analog-like parameters to control its filters and envelopes. Individual outputs for each of the 16 voices, stereo mix out, stereo input, MIDI, and trigger inputs round out this machine as a professional vintage-status sampler.